What do you want guys? Are we still doing this or has picture challenge died? I'm still up for this, it got me out and about, which is the whole point. 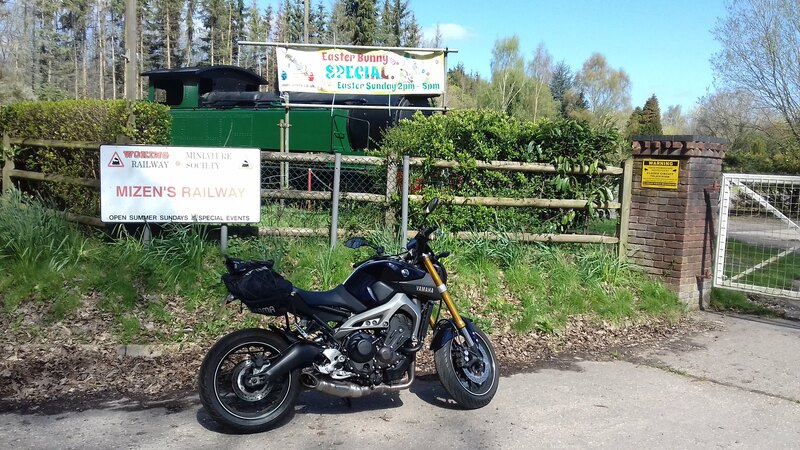 However, the nearby breweries I could find were on private farmland, a pedestrian precinct, in a busy town centre or unmarked on an industrial estate, none of which offered a photo opportunity with the bike. New challenge? 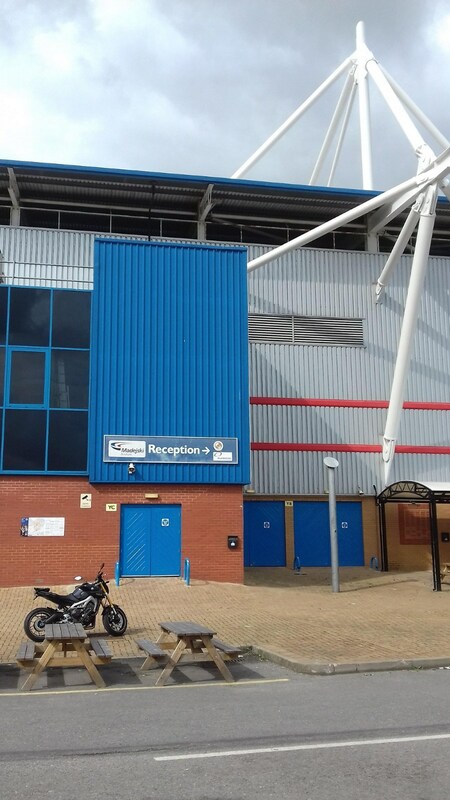 Next challenge - Your bike outside the grounds of a Premier League / Championship / League One / League Two football club stadium. 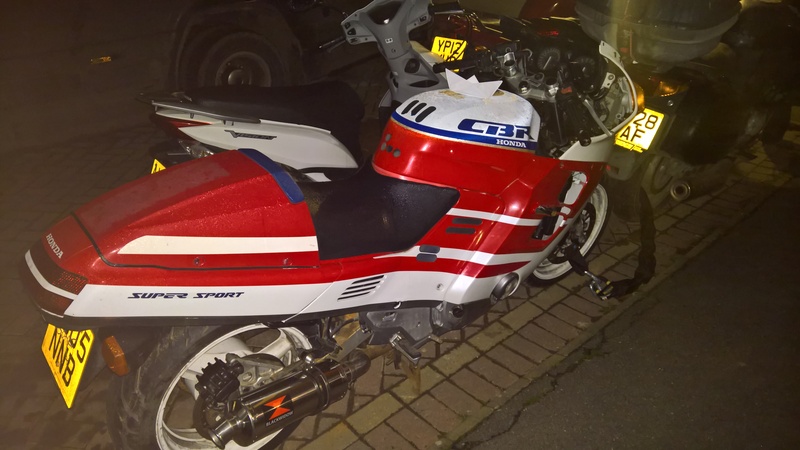 It blew off down the motorway while I was waiting for recovery and got run over about a million times. Never to be seen again. A good excuse to order a new pair I suppose. Somewhere on a French motorway there is a spare pair of gloves and some pants. These days I secure the top pocket on my rucksack (prone to unzipping in the vacuum created at speed) with a belay. Anyone up for this challenge or not? I suppose we'll have to wait until the weekend for people to get out and about. Next challenge your bike with a boat. Does a paper origami yacht count? 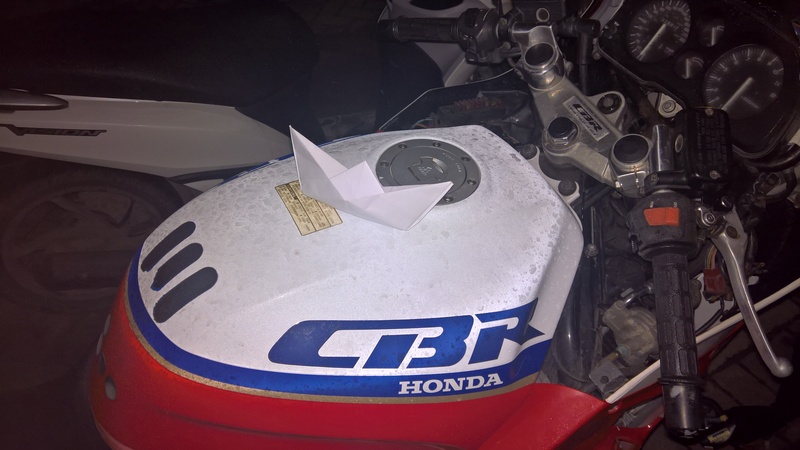 Next challenge - Your bike with a REAL boat. Next challenge - Your bike with a locomotive. Anyhow look at the new 2019 challenge now people.